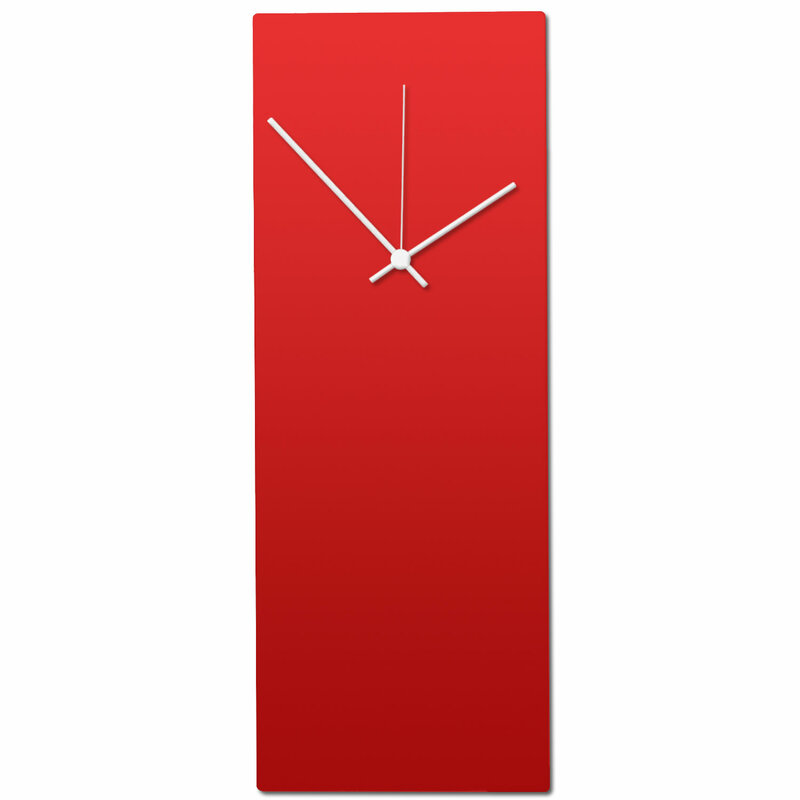 Minimalist red metal modern wall clock with white hands. Hands are available in white, black and blue. The clock has a satin red body and lightly rounded/beveleDecorners and edges, with a fully-encapsulated UV-resistant clear coat. 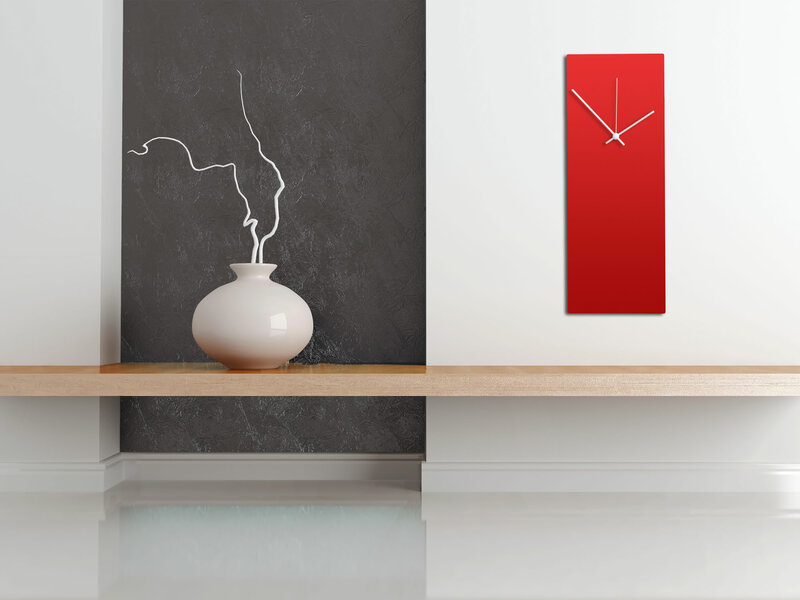 Our line of Redout clocks make the perfect accent piece for a modern or contemporary space. They have a sleek metal body with colorful oversized hands, giving a splash of accent color to your wall Decor.